American Standard - Style That Works Better. Durable, Reliable, Quality Engineering and Construction. American Standard Products are designed for your busy life'style. Parts, Hardware, and Components are engineered to enhance the usage of your American Standard Products. Also available in store by special order only see store for details. Update the look of your bathroom with this high-class, useful piece from Kingston Brass. Give your bathroom a brand new look in no time with this dual-control faucet. This item's deck mounted design is easy to set up so you can enjoy a finished counter top. This faucet is also WaterSense certified so you and the environment can enjoy less water use but also stay clean. Contemporary Single Hole Single-Handle Bathroom Faucet in Matte Black Matte black is gaining popularity because it brings out the tones of natural stone and adds a focal point to your bathroom. Choose our sleek and easy-to-manage faucet. A modern look with a single lever handle. Faucet is constructed of a solid brass body for enhanced finish and performance. 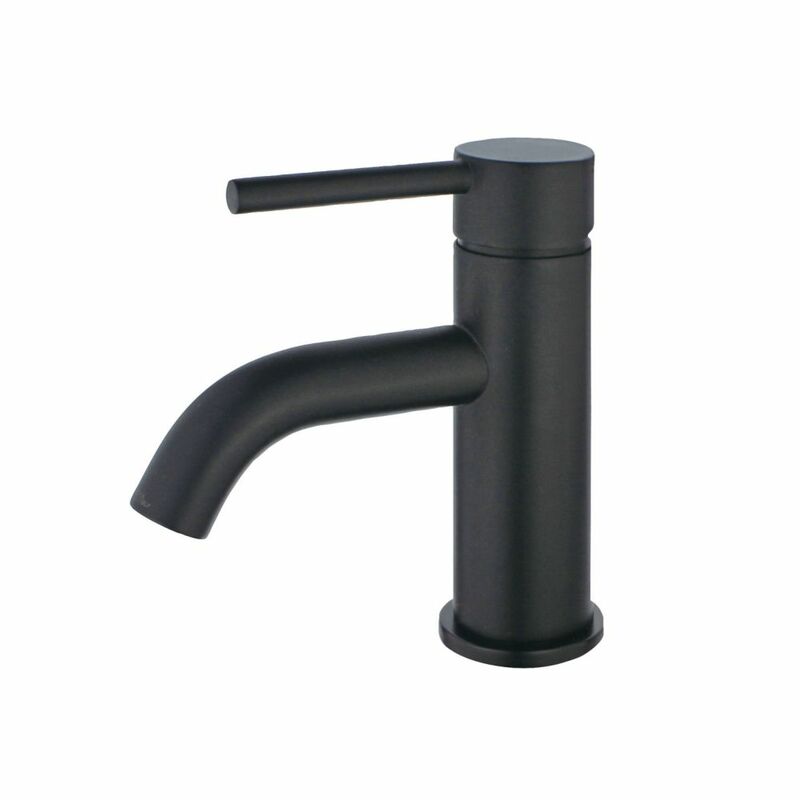 Contemporary Single Hole Single-Handle Bathroom Faucet in Matte Black is rated 3.3 out of 5 by 3. Rated 1 out of 5 by chevy14 from pretty but poor quality They are beautiful but didnt even last a year before paint peeled at faucet tip :( After installing and dealing with the leaks from the poor quality tubes and connectors, we were very happy with the finished look. Unfortunately, after under a year, the paint is chipping off. 2 of the 4 we ordered are doing it already. A 3rd one is rusting at the base. Rated 4 out of 5 by Rachel from This is a beautiful faucet, great weight to it but it doesn't have the typical connectors so when... This is a beautiful faucet, great weight to it but it doesn't have the typical connectors so when you go to install it, make sure you double check that first (learn from our mistake). Other than that, I'm a big fan!